Slots are the ideal option for people who are looking for fun, excitement, and a potentially hefty win without putting too much sweat into it. This type of game relies heavily on chance which is precisely what renders it suitable for any casino player out there. More importantly, players are simply spoilt for choice as far as real-money slots are concerned since prominent online casinos offer a wealth of options to pick from. There is a little something for all tastes and bankrolls, so it matters not whether you are interested in the 3-reel, single-payline classics or are looking for the latest 3D slots – either way, you are guaranteed to find a slot that corresponds to your criteria. With so many options to choose from, often it is difficult to start. The online slots are usually available in demo or practice mode which is certainly a fantastic opportunity for new players to test the games on offer with zero risk for their bankrolls. However, if you want to actually turn a profit or even bag a life-changing progressive jackpot, playing the slots for real money is the way to go. If you are a novice at spinning the reels for real money, you have definitely come to the right place. The following article will introduce you to the key aspects of making real-money bets on online slots and the most common types of slots you can find at reputable web-based casinos. If you have ever set the reels in motion at a landbased venue, playing online will be easy as pie since the slots in brick-and-mortar and web-based casinos share a pretty similar gameplay and interface. Slots developed by well-known software suppliers like Quickspin, Microgaming, BetSoft, NetEnt and Playtech stand out with very intuitive, user-friendly interface which makes it easy for players to find their way around, regardless of their level of previous experience. When your preferred slot loads, the first thing you need to do is check the paytable where you will be able to find all the information you need to play the game. The paytable features information on the slot’s paylines, the payouts for matching symbols, bonus games, special symbols, and free spins rounds. This is the place where you can see which direction you need to line up the matching symbols in as many online slots pay for combinations from left to right, but there are also titles that pay in both directions. This is important because the slots from the second category will increase your chances of landing winning combinations on the reels. What you need to do next is adjust the amount you bet per spin. The buttons you can do this with are normally located below the base game screen with the reels. Your money balance is also displayed there. You can start by selecting the coin value you wish to use on the next spin. The betting limits of online slots are generally rather flexible, with players being able to choose from coin denominations that range from a couple of cents to a dollar or two. The next thing to do is to adjust your bet level, or how many coins you intend to stake per spin, by clicking on the “+” or “-” of the bet-level button. Some online slots allow players to pick which paylines they bet on, wagering one or more coins on the lines they have activated. Others have fixed paylines where there is no other option but to bet on all lines on every single spin of the reels. If your bankroll allows it, you can bet the maximum amount of credits with a single click of the Max Bet button. This will not only adjust your bet to the upper limit, but will also automatically set the reels in motion. The majority of real-money slots you can play at online casinos have an Auto Play feature which enables players to automatically go through a predetermined number of rounds without having to hit the Spin button each time the reels stop rotating. There is usually the option to set a win or a loss limit so that Auto Play gets deactivated once you reach it. Some online slots have an additional feature, called Double Up or Gamble, which gets activated on winning spins and enables players to potentially double or quadruple their profits. Another thing that is great about real-money online slots is that players are not required to calculate how much they have won on lucky spins as the game pretty much does it for them. After each winning round, you will be shown how many credits you have won on active paylines. The winnings amount is also displayed below the reels and the money will be credited to your online casino account immediately. In addition, players can turn off the background music and sound effects if they find them distracting or annoying. Turbo Play is often available and is suitable for slot fans who enjoy playing at a faster pace. Once you have chosen an online casino that corresponds to your criteria of reliability and security, you can register a real-money account for free. The process of registration is typically quick and hassle-free, so you will be ready within a few minutes only. Then you can proceed with transferring some funds into your new account by visiting the casino’s cashier or banking section where you will be able to pick from various payment solutions, including widespread options like credit/debit cards, prepaid vouchers, e-wallets, online banking processors, and standard bank transfers. Make sure you select a method that is suitable for both deposits and withdrawals. The next thing to do is fill the necessary personal and banking information in the respective form at the cashier, specify the amount you want to deposit, and authenticate the transaction. The money will be transferred to your online casino balance within a few moments and you will be ready to make your first real-money bet on your slot of choice. Most renowned online casinos do not charge their players for processing deposits. However, depending on the method you use, you may incur some fees on behalf of your banking institution or payment processor. Just make sure you select your country’s currency in the process of registration, if it is available – otherwise, you may be charged with additional fees for currency conversion. Withdrawing the winnings you have generated on real-money slots is equally easy, convenient and safe. In fact, the process resembles closely that of depositing as players are again required to visit the cashier section and initiate the withdrawal. It is important to mention that many online casinos return the payments via the same method players have used when processing their deposits. So, if your preferred payment solution is accepted for both deposits and cash-outs, your winnings will be returned via the method you have used to boost your balance. Unlike deposits, withdrawals are not processed instantly, at least not in all cases. Then again, the time-frame also depends on the method you use to cash out. With some payment solutions, withdrawals are cleared from your casino balance within a period of 24 to 48 hours, with others, the money is transferred after several business days. Another thing to keep in mind is that you will be asked by the online casino to verify your account before you are allowed to initiate a withdrawal. Players need to confirm their identity for security reasons, which is achieved by sending the casino scanned copies of documents, such as your credit/debit card, passport or driving license, and a recent utility bill as a proof of address. Players usually need to go through identity verification at the beginning before their first withdrawals but some gambling operators also require verification when you attempt to cash out more substantial amounts of money. The biggest perk of playing the slots for real money at an online casino are the generous bonuses and promotions players get to participate in on a regular basis. Some of the bonuses are even tailored to fit the needs of slot fans, in particular. For instance, there are Free Spins on specific slots from the casino’s portfolio that are often available to both new and old members. No-deposit bonuses are also a great way to get a general idea how your preferred slots work without betting any of your own funds. And the great thing about this bonus is that it is granted to newcomers simply for signing up with real-money accounts. Players who deposit for the first time are normally rewarded with welcome offers since their deposit amount is matched with a bonus. For example, if you claim a 100% match welcome bonus on your first deposit of $50, you will receive the additional sum of $50 for a total of $100 to play the slots with. Additionally, slot players can benefit from reload bonuses each time they process a deposit via specific payment methods, with match bonuses ranging between 5% and 15% of the deposited amount. Another way to boost your casino balance is collecting comp points and converting them into free casino credits to spin the reels with. Most well-known gambling operators have set up their own loyalty programs and players are automatically included from the very moment they sign up with an account and make their first real-money wager. Winning on casino games, be it slots, roulette or craps, takes a lot of self-control and discipline. While the outcome of the slots’ spins indeed relies merely on chance, the possibility of ending one’s betting session on profit increases when proper bankroll management is at hand. It all boils down to how much of your money you are prepared (and can afford) to lose if the worst comes to the worst and you experience a bad run. Players are recommended to set aside a bank for playing the slots for real money. This sum is then divided into several chunks depending on the number of betting sessions you have planned for the month, which leads to the conclusion the amount you spend per session is rather flexible. For instance, if you start with a bank of $1,000, the range for your betting session should vary between 5% and 10% of the overall sum. The next thing to do is decide how much you should spend per individual spin, in which case, you should factor in several things – the slot’s player return percentage, its variance, and bonus features. Setting up a loss stop for your session is of equal importance. Loss stops are individual and up to the discretion of each player. For instance, you may opt for a loss stop of 30% of your bankroll if this is what you are comfortable with. Once you have been reduced to that percentage, the smartest thing to do would be to put a stop to it and quit. The results of chasing one’s losses are often devastating for the slot player. Deciding on a win goal, or how much you aim to win for a given betting session, is of equal importance. Some players prefer to bank their session bankroll when they are on a hot streak and play only with their net profits from that point on. Others prefer to settle for a win goal which amounts to a specific percentage of their session’s starting bank, say 20%. Once they have generated profits corresponding to that percentage, they would abstain from further betting. Either way, it is best to settle for small wins rather than give everything you have won back to the casino. Remember, you need to be realistic when deciding on your win goal. After all, you cannot start with a bankroll of $50 and expect to win $500 in a single session. Some first-timers experience doubts as to whether or not the real-money slots available at online casinos are rigged. The answer is no, they are not, at least if you are spinning the reels at a licensed and regulated web-based casino. The slots offered by reliable online gambling operators run on the so-called Random Number Generators (RNG). The purpose of this special software is to constantly generate random numbers that correspond to the symbols on the slot’s reels. The RNG starts with a value that ranges between 0 and several billion, which is then converted into a set of numbers corresponding to the reel symbols. The RNG uses rather long and complex algorithms to calculate the result of each spin. Bear in mind that the outcome of each round on the slots is pretty much decided the moment you click the Spin button and is completely independent of previous or subsequent results. The RNGs of the slots at licensed online casinos are checked for accuracy and fairness on a regular basis by third-party testing laboratories such as eCOGRA, TST, and iTech Labs. The results of these audits are updated and published on the casinos’ websites regularly for all players to see. The bottom line is if you demand fair treatment, you most definitely must ensure the casino you are registering with is regulated and dependable. Reel fans are indeed spoilt for choice since the catalogs of most online gambling operators comprise predominantly slots, spanning hundreds of titles you can pick from. The games are generally grouped into separate categories, which allows players to easily find precisely what they are looking for. Most online casinos cater to the needs of traditionalists, offering them a variety of classic slots to choose from. These are 3-reel slots, with a limited number of paylines, which lack in terms of graphics and extra features. 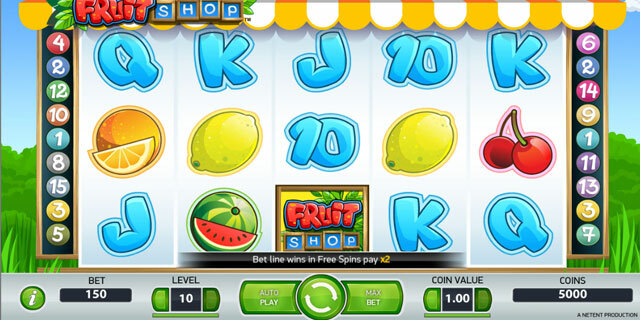 The number of paylines on such games typically varies between one and five while the symbols they utilize are the old-school fruits, lucky sevens, and bars. Though less visually appealing than their advanced cousins, classic slots are a rather suitable option for novices because they are less complex and easy to understand. Many players prefer 5-reel video slots where it is possible to bet on multiple paylines. The higher the number of lines, the greater the chances of forming a winning combination of matching symbols. The paylines’ number may range anywhere between nine and a hundred. Video slots impress with enhanced visuals, more immersive sound effects and a variety of lucrative features, such as free spins rounds, bonus games, and additional symbols like the wilds and scatters. Many slots with five reels boast 3D graphics, engaging animations, and more complex storylines, designed to keep players interested in the games for longer periods of time. Software developers like Microgaming, NetEnt, and Playtech have even based some of their 3D slots on popular movies, TV series or musicians. Undoubtedly, some of the most popular slots to play online for real money are the progressives. These are sometimes connected across jackpot networks that span numerous casinos powered by the same software provider so that the progressive prize grows in increments each time someone places a bet. Because millions of players contribute to the accumulation of the pot, it reaches shocking amounts that comprise seven-figure sums. Popular progressive slots you can play for real money include Microgaming’s Mega Moolah, the titles from Playtech’s Age of the Gods suite, and NetEnt’s Mega Fortune Dreams. One important thing to remember when betting on progressives is that usually players are expected to stake the maximum amount that is allowed per single spin. At least, if they wish to qualify for the progressive prize. Those who bet less than the maximum are not rewarded the massive prize even if they do manage to line up the matching symbols that trigger the progressive jackpot. That is to say, progressives are not suitable for all budgets. Yet, if you are aiming for a life-changing prize and have the bankroll to afford it, you should definitely give the progressives a few spins.